Members of the activist group Avaaz covered Jean Rey Square with shoes, donated by citizens across Europe over the last week. It was part of what the group said was a "growing call for EU governments to protect Palestinian lives by reining in Israel’s government violence". 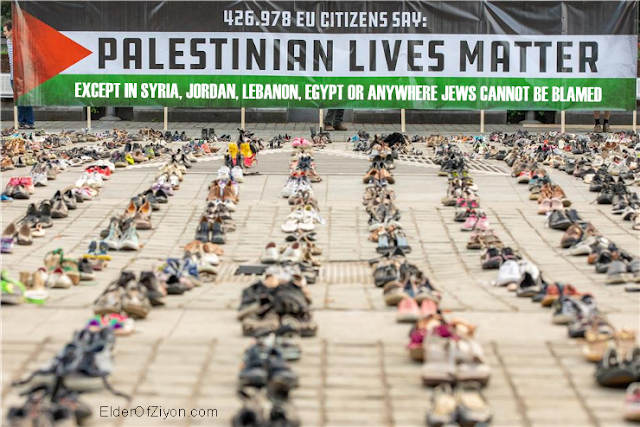 "Citizens across Europe have one clear message for our governments: Palestinian lives matter to us and they need to matter to you," said Avaaz Campaign Director Christoph Schott. 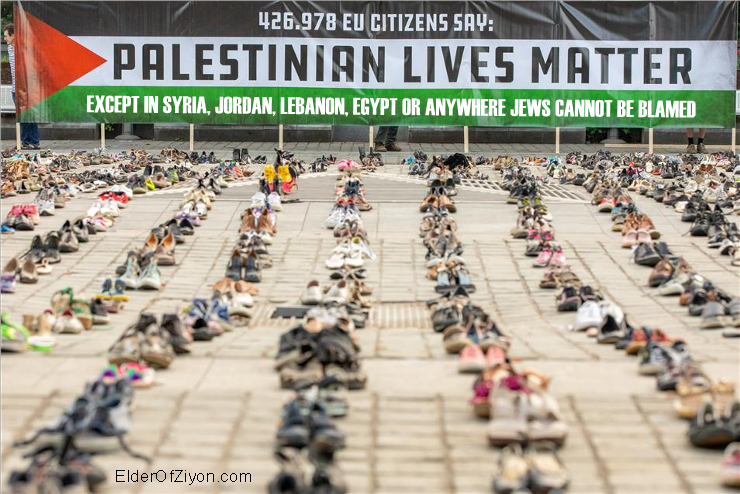 If Palestinian lives matter to Avaaz, then why don't they count the nearly 4000 Palestinians killed in Syria in only the past five years? Not to mention the hundreds of thousands who have been forced to flee Syria and Lebanon or the institutional discrimination they suffer throughout the Arab world.